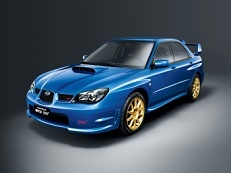 Correct Wheel Sizes, PCD, Offset, Rims and Tire specs for Subaru Impreza WRX STI series. I have 16 x 8 BBS Dubati syi forged alloy wheels.How do I tell if they are 5 x 100 or 5 x 114.3? 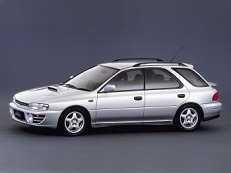 Hi,Alun,There are at least 2 ways to tell the difference.1.Normally,Impreza-wrx-sti 2.5L have 5*114.3,and Impreza-wrx-sti 2.0L have 5*100.you can fit the bbs wheels on it to check the wheels bolt pattern 2.You can go for the wheel dealer.Normally,They have bolt pattern measurement,Just need to put it in the wheels holes.3.if your place have not that measurement,You can also find a calliper,put one side in a hole and another one in the contrary hole to see the data. 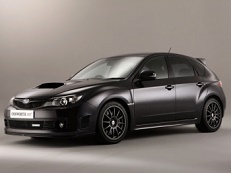 I have a 2007 WRX STi USDM. You list OEM as 18". Mine came stock with 17" forged BBS rims. 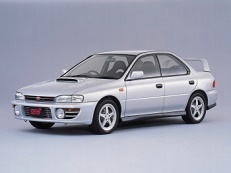 And for the JDM you have 17" OEM. Do you think maybe you have them reversed? 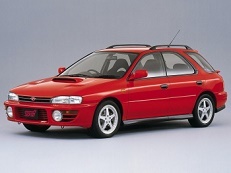 Either way, I think the 2007 USDM STi should be 17" dia. That's what's on my car. 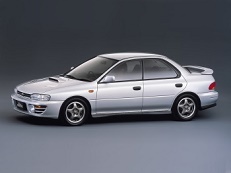 Hi,Tony,Thanks for your info.The Subaru Impreza Wax STI have two different car wheels size since 2007.The one is 17''(17*8.0), and the other is 18''(18*8.0),I will update the data ASAP.